** Also, special note, Darlene fell this week. Please pray for her as she heals. Certain dates in my writing journey stand out clearly. At the age of ten, I listed “writer” as one of five jobs I might like to do some day. That didn’t happen for a long time. In 1991, in the wake of my divorce, I began writing about the lessons God taught me. My first published piece, a devotional, came out in 1993. After that, I had maybe one piece published a year until my first book came out in 2005. Fourteen years—call me crazy or determined, but it finally happened. The final step, writing full time, happened in 2009, when I moved from Colorado to Oklahoma to be close to my son and his family. What I couldn’t lay out on a timeline were the frequent ups and downs, the times I felt strong and called, the times when I wondered if my time to write had come to an end. God has always said “not yet.” He either gives me the encouragement I need to continue on my current project, or a promise that the next thing will happen in time. I’m going through one of those times right now. The book club I have written for since 2005, Heartsong Presents, has closed. I don’t know what combination of indie publishing—such as the two books I am giving away today—and traditional publishing lies ahead. But I do know this: God knows my future. Here’s an obvious truth that some other writers struggle with, as I do. Don’t compare yourself to someone else’s journey. No two writers’ paths are the same. Praise God! 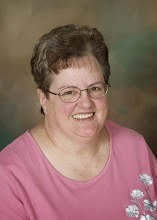 Darlene Franklin’s greatest claim to fame is that she writes full-time from a nursing home. She lives in Oklahoma, near her son and his family, and continues her interests in playing the piano and singing, books, good fellowship, and reality TV in addition to writing. She is an active member of Oklahoma City Christian Fiction Writers, American Christian Fiction Writers, and the Christian Authors Network. Poetry is her newest passion. 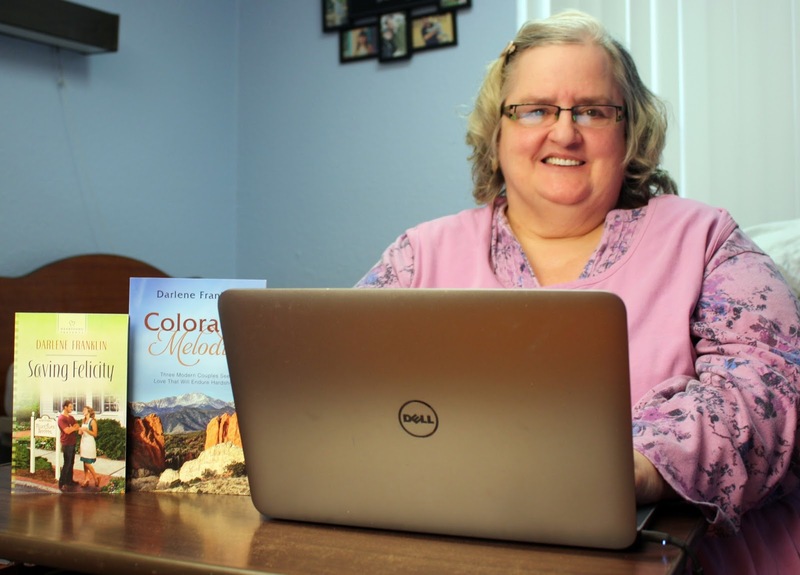 She has written over thirty novels as well as more than 250 devotionals. 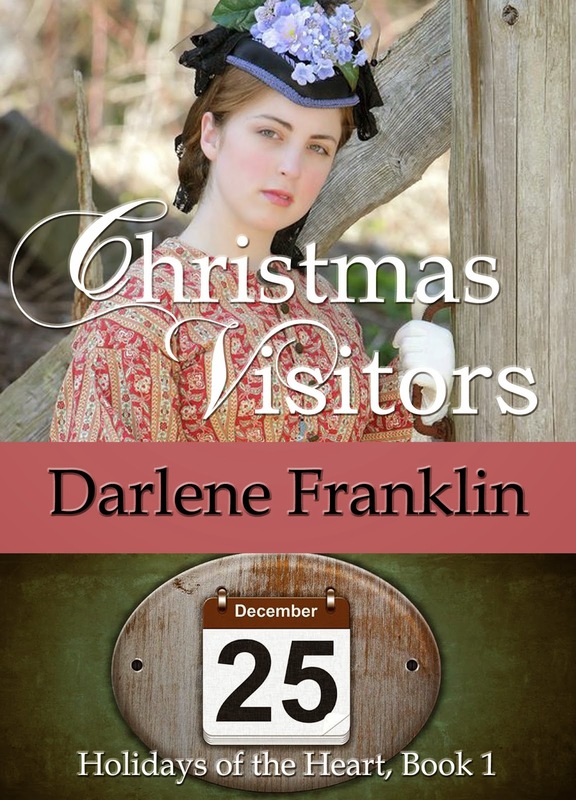 Christmas Visitors is available for preorder. Although the date available says December 17th, I hope to have it up by December 7th. Five years ago Cora Grace allowed a traveling couple into her home when the wife went into labor. After her death, Cora helped the widower Alex Miller raise the baby. Now three visitors from the East arrive--with business with Alex. Their presence shakes the comfortable world Cora and Alex have made for themselves--will it draw them even closer together, or push them apart? An Apple for Christmas is book 4 of the Christmas Traditions series. 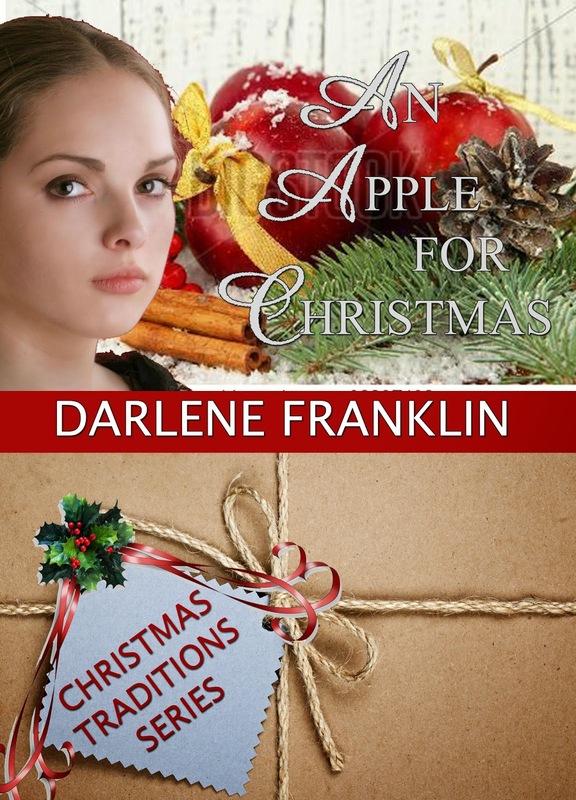 Darlene Franklin's ebook: "Christmas Visitors" or "An Apple For Christmas"
Thank you, Darlene, for Joining us This Weekend! It's so easy to compare ourselves to others, even though we need to remember God made us the individuals we are. And me a howdie-do, I love to chat with you. An inspiring post thank you. I look forward to catching up with all of your works. Good morning, Mary. You are up early! Thanks so much for helping me set out the virtual coffee and pastries for the others. Darlene's books do have an inspiring attraction. Wholesome. I hope you get a chance to pick up her books. Thanks you so much for becoming a follower. I think these books will make great read during this holiday season for you and your family. Good morning Mary and Darlene. It is Black Friday but I have chosen to spend this time with you. Darlene, you may be uncertain about your publishing.options but it is obvious that you are certain where you will find your answers. Your faith and trust in our Heavenly Father will.continue to guide you and strengthen you. Both of these books mentioned today sound wonderful and i appreciate the chance to win one. Darlene, I also wish you a speedy recovery! Awww, Connie, you are so sweet. I'm glad you stopped by today. And thank you for encouraging Darlene with your words. Hi Virginia, thanks for stopping by! Hi Mary, it's good to chat with you. Enjoy! Yes, Connie, thanks for your encouragement. God recently reminded me "The gifts and calling of God are irrevocable." The circumstances may change, but God still wants me to use my gift. And Mary, thanks for asking for prayer after my fall. I am sore, but no real harm down--a true miracle. Hi Rosemary, hope you get to read the book! I'm so glad. I was picturing what you described...oooo it sounded painful. I'm so glad you are getting better. Thank you so much for becoming a follower. I'm so happy to meet you. I have to agree with you that An Apple for Christmas looks like a fantastic read for the holidays. Welcome. I'm so glad you could join us today. I hope you have an opportunity to read Darlene's books during the holidays! Sorry to hear about your fall Darlene! I hope your recovery is speedy. I would love to add either of your books to my Kindle. Patty, it sounds like you made smart use of your time! Wonderful to hear from you. Love seeing you each time to join our chats. I wish I could have been with you on the nature hike. That truly is my favorite activity. I'll bet the air smelled so sweet...Call me crazy, but the scent of snow in the air smells sweet to me. Hope you had a wonderful Thanksgiving holiday!! This weekend we went and had some family pictures taken and that made me so happy!! My kids are all grown up now and my grand daughter is the apple of my eye! This book looks like a good read and I would enjoy it very much! Family pictures are always worth the effort. No matter how they turn out they make the best memories ever. I'm so glad you have a sweet granddaughter. In order to help you be in the drawing, we need your email address to contact you. I hope you check back to give us this information. Thanks so much for join in us today. I just spent the afternoon with my grandbabies. SO much fun. Sending a word of encouragement to you Darlene. I hope you are feeling better after your fall. Unfortunately I can't use ebooks just printed books but I do hope your doing well. Thanks so much for join our chat. I sure hope to see you again. Deanne, if your problem is that you don't own an ereader, you can download a free Kindle app onto your computer. If not . . . I agree, there is nothing like the feel of a book in your hands! Thanks for your interest. Oh, Darlene, you're absolutely right. I forgot about that. Downloading Kindle app is free.